New. 2009. Paperback. 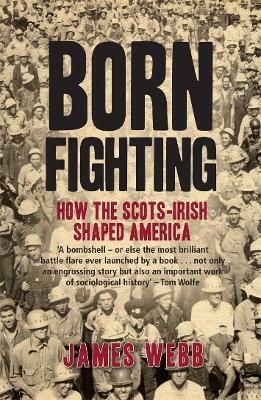 When hundreds of thousands of Scots-Irish migrated to America in the eighteenth century, they brought with them long experience as rebels and outcasts as well as unparalleled skills as frontiersmen and guerrilla fighters. This book chronicles the epic journey of this remarkable ethnic group. Num Pages: 368 pages. BIC Classification: 1DBKS; 1DBR; 1KBB; HBJD1; HBJK; JFSL. Category: (G) General (US: Trade). Dimension: 232 x 154 x 29. Weight in Grams: 506......We ship daily from our Bookshop. New. Trade paperback (US). Glued binding. 362 p.